Did you notice anything different when you posted a comment on a blogger blog last time? If not let me tell you. 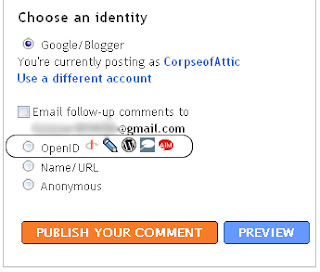 Blogger has Accepted many OpenID clients and has given option directly to comment through them. Blogger Also added a slew of new features mostly Transliteration features in Kannada, Malayalam, Tamil, and Telugu. Also fixed were a few bugs.